In this brilliant new collection, one of Canada’s brightest young talents skillfully displays the full range of human emotions through the subtly powerful dramas of everyday life. In “You Are What You Like” a young couple finds their life derailed by the arrival of a hard-partying old friend. In “Robbing the Cradle” Lisette does everything she can to give her husband a baby, committing an act of desperation. In “The Idea Man” Beth, a divorcee, falls in love with a man who lies for fun. And in the incredible title story, Kathleen finds herself sitting at the hospital bedside of a man she had planned to divorce, comforted by the woman she went out of her way to hurt. These characters are divorced and beginning to date again, childless and longing for children, married and aching for more. 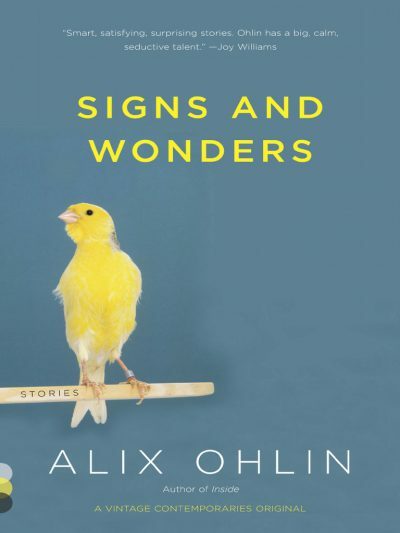 Often unexpected and unsettling, always fascinating, Signs and Wonders showcases a young writer of remarkable range and emotional depth.